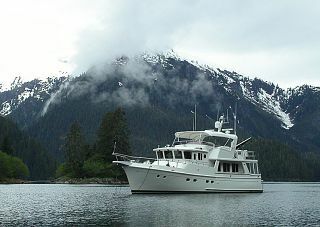 LUKE BROWN YACHTS BOB OFFER VISITS RMK SHIPYARD AND THE OUTSTANDING 149' RMK! 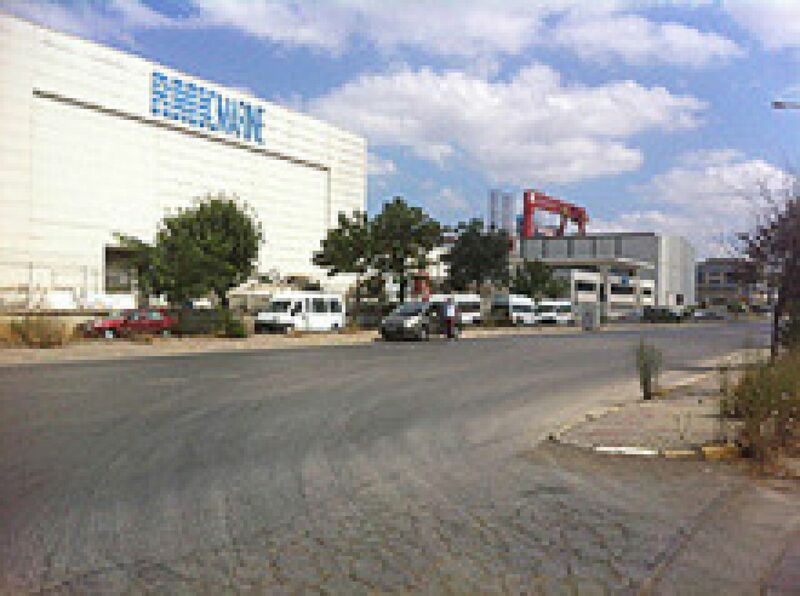 RMK is an outstanding value in the world today, built by a shipyard that is world class. 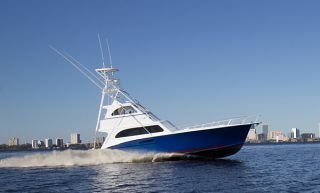 Regularly in commission to build patrol boats, military vessels, Coast Guard cutters, the shipyard’s technology and ability is superior in the yacht world. 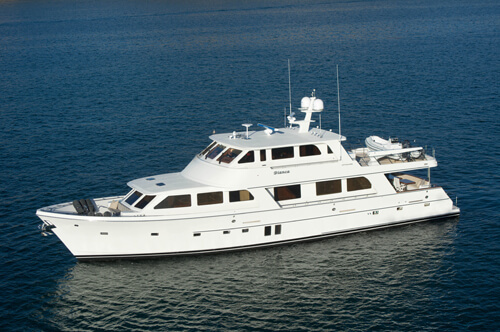 Here, the recently launched super yacht KARIA is for sale, and we are happy to be the owner’s direct agent. 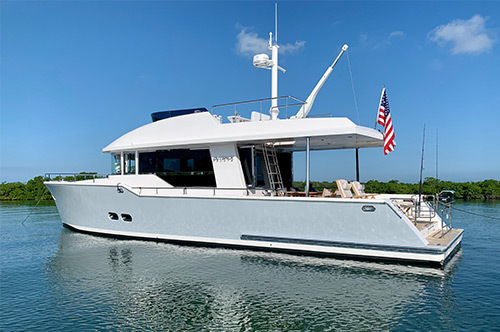 This yacht is perhaps one of the most intelligently designed hull, and performance layouts, features and components we have seen lately. 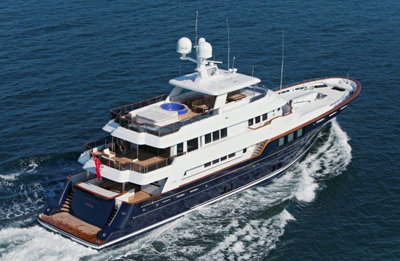 Nominated for a super yacht award, praised by all who have been aboard, she just keeps surprising you at every turn. 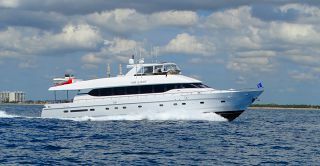 At 19 million euros, I believe, if you are looking for a serious ocean going, economical, versatile, long range, comfortable, quality yacht, KARIA is amongst the best in the world. 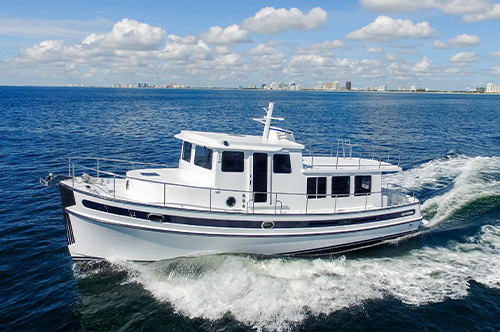 • Proven efficient, sea kindly World Famous Ron Holland hull, and designed with very efficient Caterpillar diesels. 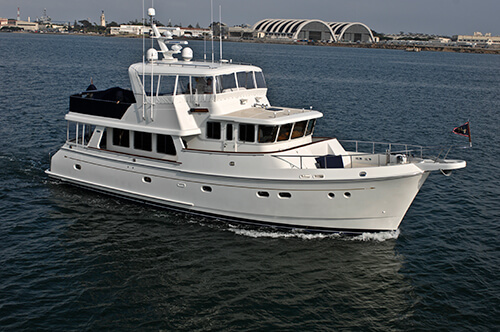 • Great comfort, with 5 or 6 in-suite staterooms for 12 guests. 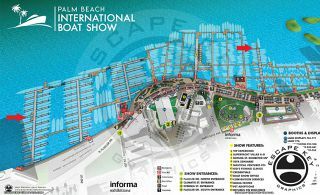 • Designed to be less than 500 tons and comply with all certification and classification regulations. 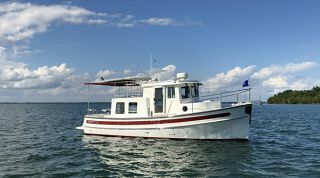 • Safety first with heavy weather oversized tender storage below decks forward on bow. 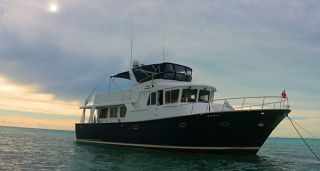 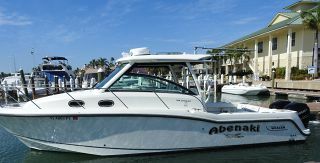 • Intelligent outside spaces: 3 outside aft deck lounge areas so all of your friends and family can relax and socialize. 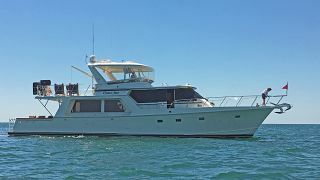 • An oversized, huge and surprisingly intelligent functional Owner’s Stateroom aft on the upper deck with office, his and her bathroom, owner private (or if you choose, public) sky lounge. 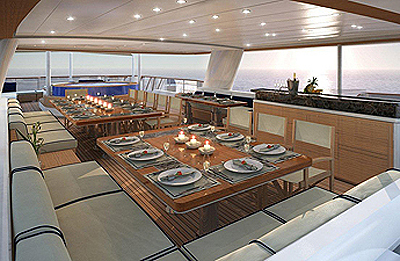 • Mark Tucker and Design Unlimited elegant and rich versatile interior.